I was encouraged with the response to my post on the Parmigiani watches on tools, so today I decided to dig into my archives and offer some photographs of Langes on tools. 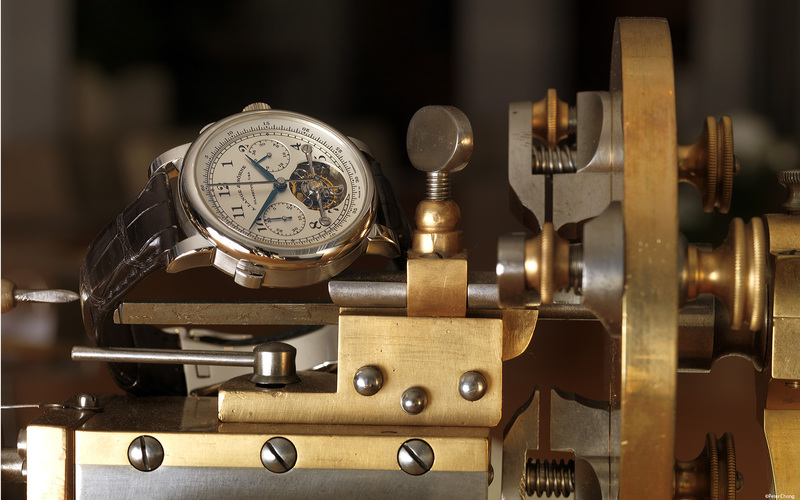 These photographs appear in my book: "A, Lange & Sohne: The Pour le Merite Collection" available here. Today, I show the magnificent Lange Tourbograph in Platinum, limited to 51 pieces (an additional 50 pieces are offered in Honey Coloured gold for a total of 101 pieces total production for the Tourbograph). This is the most complicated watch Lange makes to date. 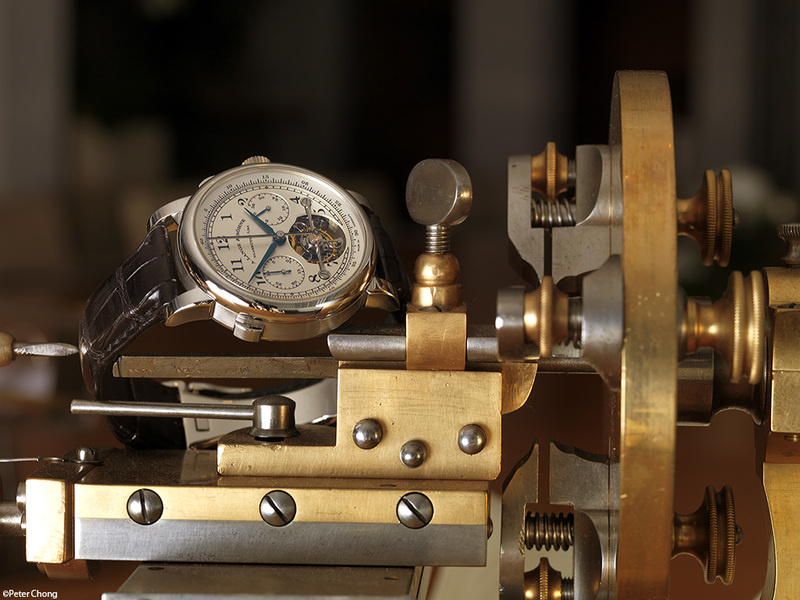 Split seconds chronograph, tourbillon with fusee chain. Magnificent. Click on the pic above to show a wallpaper sized (1920 wide) image. Limited edition fine art prints of the same photograph, approx 600mmx800mm, suitable for framing are available. Please enquire at chongpATgmail.com. Peter, it is amazing how one can develop a fusee and chain... just handling the chain alone is difficult enough and to think they can put it altogether and make it function flawlessly. Peter, I am amazed by the fusee and chain "complication". Just holding the chain in hand is already amazing and to think that Lange could put it together is beyond belief. Totally awesome piece and I can only drool and this wonderful piece!